Don’t just take our word for it — see what the rest of Venice FL and Sarasota and Charlotte Counties are saying about Sisters for Seniors! Stacey and Stephanie – you are the best sister team I’ve had the privilege to meet. You each have special talents that work together as Sisters for Seniors. The caregivers that you selected for Mom were just perfect for her. We really appreciate that you took the time to understand Mom’s needs (and her desires) to find just the right people. And she bonded with them to form lasting relationships. They were all qualified to perform the daily tasks to keep her comfortable but even went above and beyond to do special things for her. And thanks to both of you for doing so much extra to transition her to the next step of her care. 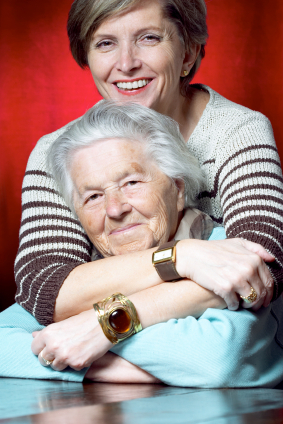 I have had help from Sisters for Seniors for the past several months, my caregiver is kind and helpful and assists me to maintain my independence at home. She takes me out shopping, helps prepare meals and helps me do my laundry. We watch golf together and go in the pool to do my exercises. Sisters for Seniors has been a huge help for my mom. We live in the North and cannot get to Florida to see mom as much as I would like. The staff provide excellent companionship for her. Her caregiver takes her out in the community and sometimes they stay in and play cards. She takes her to doctors appointments and physical therapy appointments – sometimes they go for lunch afterward. I know that my mom is being well looked after and I do not worry about her living on her own with their help. I used Sisters for Seniors when I had a surgical procedure done. They took me to outpatient surgery, stayed with me during the procedure, and took me home afterwards and stayed with me for a couple of hours to make sure I was OK. I used them for the next week to help prepare my meals, look after my cat, do some grocery shopping and pick up my medications. They were wonderful! As present users of the services of Sisters for Seniors, we are highly appreciative of the wonderful personal touch extended to us. The personnel are outstanding. This was a revelation to us after the bad experience we had with a previous outfit. – Helen B. and William P.